I'm trying to finish up all the pending articles of 2010 I have stashed away somewhere, and so expect several posts dedicated to last year. The first one being the band Slugstain. 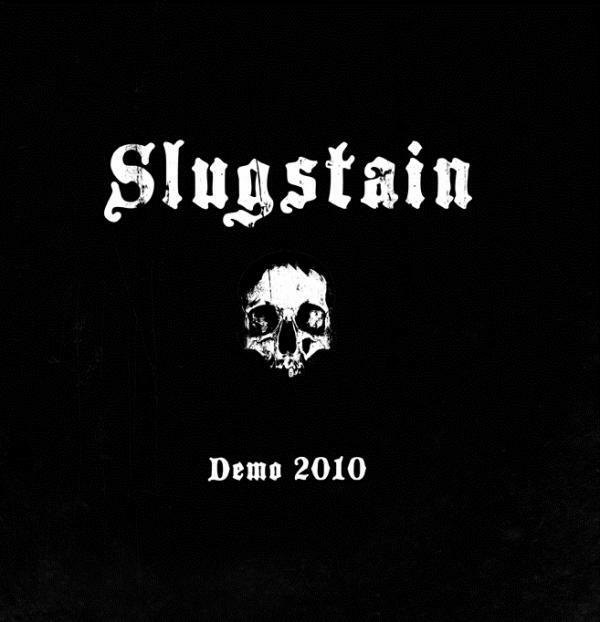 Sent over from Heavy Planet, I think I was hesitant listening to Slugstain initially because their only release so far is their Demo. As a rule, I don't like demos; often times they are of bad recording quality and/or the songs change drastically from demo to debut LP, and in some extreme cases the band's style itself shifts, so you may not even recognize the band come their next release. Excuses aside, once I did actually sit down and listen to Slugstain's Demo, I enjoyed was I was shown. The group plays a doomy blend of stoner metal, with rough vocals (not sludge), and what honestly sounds a bit of British influence - maybe I'm reading too much into that one. Although you could never confuse this group with thrash, two of the songs, tracks 1 ("Bringer of Night") and 3 ("Urban Hermit"), sound a bit like Megadeth, circa Countdown To Extinction era. There is just the bit of edge there, and the grinding fuzz guitars vaguely remind me of "Symphony of Destruction," again, maybe that is just me. Regardless, I am impressed with what Slugstain has to offer, and I know when they do get their debut LP recorded and released, I won't be slow with my listen and my review. It is great stoner metal with a splash of doom, that really anyone could enjoy.